The discussion Frazier points to is that a newbie has to think outside the box – that there is more to selecting saltwater fly fishing rods than an 8- or 9-weight, a reel with 250 yards of backing and a floating line, the preponderance of fly rod, backing and fly line purchases throughout the industry. But a newbie couldn’t go there – too much information and in a parlance not understood. But that’s not the point of the story. So, first up is go to the local fly shop or show. Buying a new fly rod is like buying a new car. You need to test drive them. 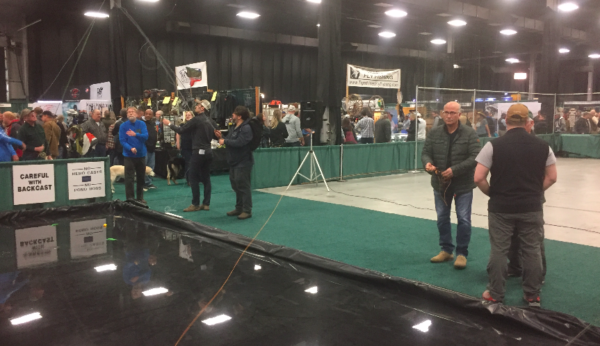 But in the case of buying a fly rod, the newbie most likely has never driven one so, having never seen one up close and personal or seen many, he or she has no reference point. Although a BMW and a Lada Riva (Russian) are vastly different cars they are not so to the newly interested buyer. Even though the technique of mending line — adjusting the position of the line relative to the fly after the line is on the water — is most often associated with river fishing, the tactic has a place in the salt as well, whenever there is current flowing. In salt water, mending comes in handy when fishing rip lines or other current differentials. Frazier concludes that when matched with an appropriate line, short rods achieve ­considerable distances, but they also provide an edge during the fight — especially with a big, structure-oriented fish. Read the complete story here . . . NOTE: John Frazier, former editor at SWS and Fly Fishing in Salt Waters and a nationally recognized authority on saltwater ­fly-fishing, currently serves as the community specialist for Simms Fishing Products.